Dashboard area – Delivery, Budget, Resource, MARCOMS, Risks and more. Shows Iterations (or Sprints) for 2 workstreams. Shows Themes, EPICs and User Stories. 3 workstreams with theme details. KPI workstream showing key programme-level detail. 3 delivery workstreams showing quarterly activities. When you need to communicate plans to stakeholders within one hour. When there is more than one workstream involved. When you want them to take it away to show other people. When you want to impress your stakeholders with your focus. To communicate your Minimum Viable Product plans, and “what will be delivered later”. 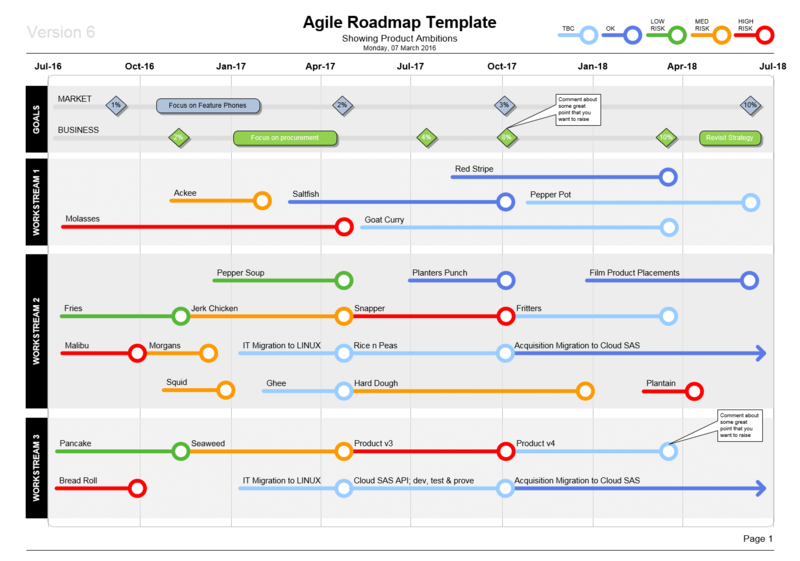 Rating for Powerpoint Agile Roadmap Template Template: 4.9 out of 5 , based on 3 customer reviews.